BlackBerry seems to have given up its quest to take on the likes of Apple and Google on its own: on Monday, the embattled Canadian smartphone maker said it was considering a sale, a joint venture, a strategic partnership or any other “possible transactions” that might work. 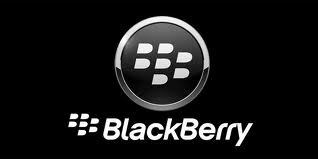 In a statement, BlackBerry said its board had formed a special committee to look into its options. The committee is chaired by Timothy Dattels and includes CEO Thorsten Heins, board chair Barbara Stymiest and two telecoms industry veterans — Richard Lynch and Bert Nordberg – that BlackBerry only brought onto its board in February. Meanwhile, Prem Watsa has resigned from the board. Watsa is the CEO of Fairfax Financial, BlackBerry’s largest investor, so the conflict of interest given the new landscape was clear. Although BlackBerry has taken on financial and legal advisors, the company stressed that “there can be no assurance that this exploration process will result in any transaction. BlackBerry’s flagship Z10 smartphone and the underlying BlackBerry 10 OS were make-or-break developments for the company, which has failed to have much on an impact on the rise of its rivals. However, the Z10 has not been a success and, despite having come out this year, it is currently available at knock-down prices.